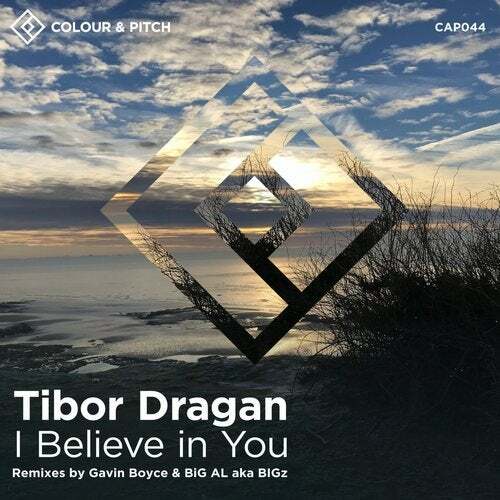 Following first-rate releases and remixes on Rogue Decibels, Ready Mix and Itom to name but a few, Hungarian producer and DJ Tibor Dragan returns to Colour and Pitch with 'I Believe in You', a tender and melodic cut, presented with remixes from BiG AL and Gavin Boyce. Tibor Dragan's original version of 'I Believe in You' is an ethereal, dream-like journey with wistful chords and spine-tingling strings, perfect for moments of reverie on the terrace. Boasting a clutch of incredible releases on Nordic Trax and other great labels, we've been keen to have Irish producer Gavin Boyce join us on Colour and Pitch for a few years now. It's been worth the wait- Gavin's remix of 'I Believe In You' is simply a perfectly poised house production; deep in the truest possible sense. Ready Mix Records founder and Middle Eastern electronic music pioneer, BiG AL (aka BIGz) turns in a typically thoughtful and smooth rework, setting up a flawless groove before letting Tibor's original chords ride out during the breakdown.